Prophets of political doom had already written off ZANU PF and committed it to the political dustbin –never to rise again. On Friday, 4 May 2018 history was re-written again as the political giant rose like the proverbial Phoenix to reclaim its rightful place on the political arena by launching its policy-rich election manifesto. The theme of the manifesto, "Unite, fight corruption, develop, re-engage and create jobs" sums it all that ZANU PF really means business. For the country to make meaningful progress there is need for unity among the citizenry despite political affiliation, eradication of corruption, infrastructural development, re-engagement with the international community and creating employment for the country's rich human capital pool. 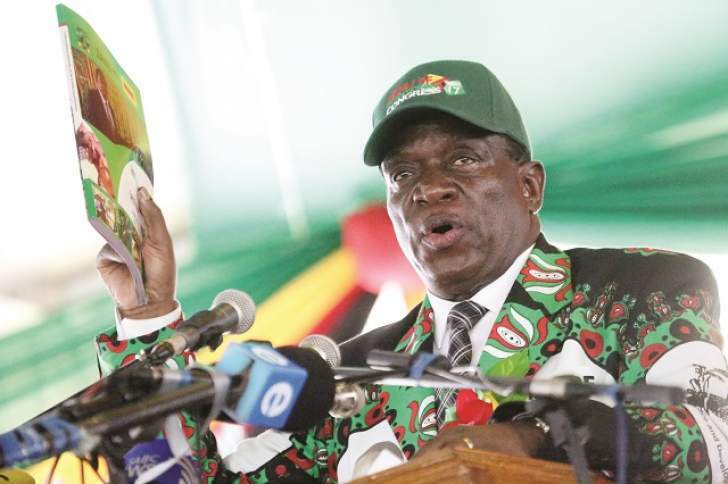 For those who did not have time to listen to the ZANU PF 2018 Election Manifesto presentation, President Emmerson Mnangagwa spoke unequivocally about the Party's direction going forward. He reiterated that gone were the dark days of candidate imposition. During previous Party primary elections, there were some people, the likes of Dr Ignatius Chombo, who were not contested, but this time around as long one met the set criteria they would contest. True to the wishes of the Party's grassroots membership, some big wigs indeed fell by the way side. A re-run of the primary elections is scheduled to be held in the contentious constituencies mainly in Harare and Mashonaland West Provinces thus proving that ZANU PF has regenerated and transformed itself into a true democracy kwete kungodzvanyirira vamwe. To those who live in urban areas, the areas had become an eye sore owing to sprouting haphazard settlements owing to the shenanigans of land barons. President Mnangagwa assured the nation that going forward, the ZANU PF Government would ensure orderly settlements with all social amenities such as roads, water and sewer reticulation being put in place before construction. On land barons, the President did not mince his words as he said that "ZANU PF is committed to zero tolerance for land baronage." On health care, ZANU PF intends to deliver a Universal Health Coverage system characterised by construction of new district hospitals, improved drug manufacture and distribution, affordable drugs and training of medical professionals in advanced medical techniques and procedures in friendly nations such as India, China, Russia and Cuba. In terms of budget allocation, the new dispensation has committed itself to allocating at least 15 percent of the total national budget towards health in line with the Abuja Declaration. Corruption had become commonplace in Zimbabwe and was characterised by bribery, fraud, embezzlement of public funds, smuggling and externalisation of funds. The new dispensation has vowed to uproot it from society and give citizens a new breath of life through transacting freely. With the promised improved governance issues, offenders will face the full wrath of the law and there would be no sacred cows as Vice President General (Rtd) Constantino Chiwenga rightly pointed out. The country has been living for too long in isolation and ZANU PF has pledged to re-engage with the international community. The re-engagement process would enable the country to get access to lines of credit in order to finance various capital projects. This would give room for normalising relations, which had become frosty since the turn of the century following the roll out of the land reform programme. Given that Zimbabwe's economy is agro-based and the biggest employer, the new dispensation has also hinged employment creation on the sector. Government has embarked on Command Agriculture Programme and has since been expanded to include livestock, fisheries and wildlife which will create jobs at each stage as value chains will be a stimulant for industrial development and finally job creation. Others jobs will be created from mining and manufacturing sectors while Growth Points and Rural Service Centres will also be places of job creation as they transform from being mere dusty and lifeless rural shopping centres into serious and active economic hubs.